EAA Airventure Oshkosh 2014 preview, Malaysia Airlines Flight 17, and the Farnborough International Airshow. Guest Jack Pelton is Chairman of the Board of the Experimental Aircraft Association (the EAA). He’s the retired chairman, president, and chief executive officer for Cessna Aircraft Company. Jack was Sr. Vice President of Engineering for Dornier Aircraft in Munich, and he started his career at Douglas Aircraft in Long Beach CA. Also, he was a member of the board and past chairman of the General Aviation Manufacturers Association (GAMA) and served on the board of directors of the National Business Aviation Association (NBAA). We talk about AirVenture Oshkosh 2014 – what’s new and what to expect, including the USAF Thunderbirds, static displays, air-features, the 100th anniversary of WW I aviation, forums and workshops. KidVenture, and the One Week Wonder build of a Zenith 705. Jack gives us an update on the EAA focus topics: the 3rd class medical, 100LL fuel, ADS-B implementation costs, and views on the shrinking pilot population. You can find the EAA at EAA.org. on Twitter as @eaaupdate, Facebook, and Instagram. We talk about airliner routes over areas of military conflict, counter-measures on civilian aircraft, and preserving the integrity of the crash site and allowing access by investigators. Aircraft orders announced at the show, the A330neo is launched, and the B737 MAX 8. 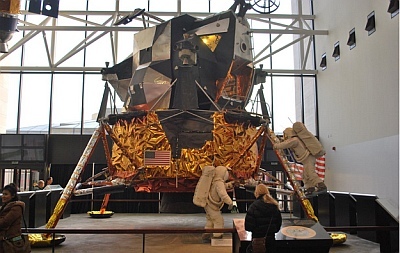 On the 45th anniversary of Apollo 11, we talk about the Grumman craft that couldn’t move on Earth: the Lunar excursion module. See Apollo 15 Ascent stage launch video and Lunar Lander Model photo (the Bug). Steve and Grant are joined by their friend Owen Zupp who has recently finished re-enacting the first airmail flight in Australia to help celebrate its centenary. He’s also recently launched a new website called The Pilot’s Blog, seen great traffic from his new book, and been in France with the new A350. 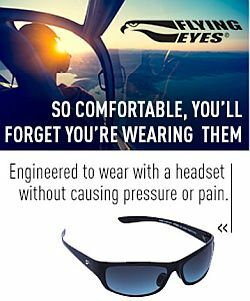 Rob talks about safety and General Aviation airplanes. Pieter brings us a report from the Farnborough International Airshow as he walks along the flightline taking in the aircraft on display. He also has the chance to talk to Managing Editor of The Aviation Historian to preview their latest edition, which has a Farnborough link. Post photo: Airbus Test and Evaluation Aircraft A350 on final approach – Copyright XTPMedia. Airplane of the Week photo: LM-2 at the National Air and Space Museum on the Mall. DM Vanderhoof Photo. This entry was posted in Episodes and tagged AirVenture, EAA, Farnborough, MH 17 on July 22, 2014 by maxflight.